Your light body is the spiritual shimmer that is the next evolutionary step for humanity. Your light body is a new energy body, a part of your aura that it was not possible to awaken before the new, higher energies came to the earth plane. It is your aura as it exists in the higher dimensions of your soul. Some have called these the Causal, Buddhic, Nirvanic, Intuitional and Soul dimensions. As you awaken your light body it is like having a new kind of vision. You will be able to see, sense and feel the higher, more beautiful energies of the higher dimensions and make them more a part of your everyday life. Awakening your light body creates a level of harmony between all your energy bodies, aligning your physical, emotional, and mental energy bodies so that your spiritual shimmer is activated. To align your energy bodies you will work with the seven vibrational energy body centres that affect them. (These are not chakras). From this position of alignment and flow you will work with the three light body centres to awaken your Light Body. As it awakens, your light body creates many new notes within you of a higher vibration that will change your life. You will draw to yourself opportunities to make a difference in the world as you begin to hold and radiate more light. Awakening the light body can sustain you in having a clearer vision of what you are here to do, lifting the veils so that you can see more of your purpose and who you are. Whatever you do, the skills and techniques taught in this course will help you to live your life in a different way, enhancing your ability to stay calm and heart centred. If you are teaching, healing or working with others, it will help your work to have a more profound effect and to make you more magnetic to clients and students. The skills you learn with the centres will enable you to hold a healing space for others to facilitate their healing process. By awakening the light body you will be helped to create states of inner illumination, mental clarity and an open heart at will. You will more easily choose how you want to feel, the thoughts you want, be more focused, mentally alert and physically vibrant. You can develop an increasing ability to harmonise with the energies around you and not be affected by denser ones. You can become more transparent to lower energies and choose inner peace all the time. Awakening your light body can make an enormous difference in your personal relationships. As your energy becomes higher, more beautiful and more radiant, people will act and think in higher, more loving ways around you without your trying to change them. Your heart will be open and you will understand what it means to live as your Higher Self. If you are around children, these energies can help them to reach a greater level of calmness and focus. As you open to this greater flow and light, you can attract more abundance, opportunities and loving people into your life. You can be around many different kinds of people and stay centred, calm and transparent to 'negative' energies. Awakening your light body teaches you how to achieve higher, expanded states of consciousness and how to bring a higher consciousness into your personality and everyday life. This is one path to enlightenment and living life on earth as your Higher Self. We invite you to join us in the Awakening Your Light Body course. These techniques are easy to learn, the energy centres are real and are not difficult to experience. As you learn to work with the centres you will see positive results that might have seemed miraculous before you understood the process. 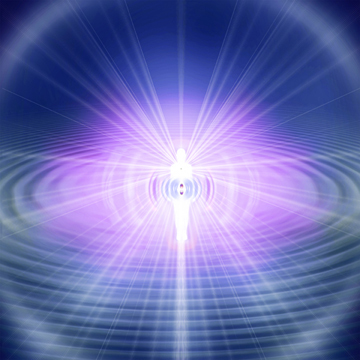 Awakening your light body can create many lasting, profound changes in your life. As you awaken your light body you will be on a path of accelerated spiritual growth. We call those who are ready to make this quantum leap in their spiritual development and are truly committed to their spiritual development - we send you love and rejoice in your growth and commitment at this crucial time. We look forward to meeting you and sharing in this wonderful process with you. How can you tell if the Awakening Your Light Body course is the next step for you? Are you willing to learn new levels of being present in the moment? Do you want to move forward in your spiritual and personal growth? Have you felt �stuck� and needing something to really shift you onwards? Are you fairly open to the new? Are you willing to let go of those things that no longer serve your higher good and are willing to create those things that do? Have you felt drawn to such things as connecting with your Higher Self, learning how to channel, developing your psychic or clairvoyant abilities, meditating, healing or other practises that expand your consciousness? If you have answered yes to some or all of these questions you are already experiencing the beginning stages of awakening your light body and you are ready to take the Light Body class with us. Bryan is a graduate of the Awakening Your Light Body course as developed by DaBen and Orin, channeled by Duane Packer and Sanaya Roman, and is teaching the course based on his understanding of it. He has also completed the Light Body graduate advanced courses with Lita de Alberdi (who is the only person in the UK qualified to teach Light Body teachers): Radiance: Filling in the Frequencies and Radiance: Transmitting Light. He has also completed Lita's Ascension classes, Reiki 1&2 and Reiki Master/Teacher, Opening to Channel and Opening to Channel advanced, Becoming a teacher and How to teach Meditation. Bryan has also facilitated on Light Body classes with Lita in order to complete all of the training needed to teach the Light Body.